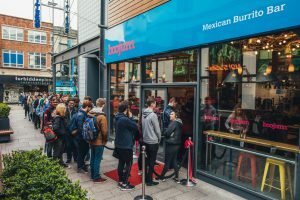 After the highly publicised victory for Boojum workers on tips, the branch is bringing together hospitality workers from across Northern Ireland who are sick of precarity, insecurity and low pay. 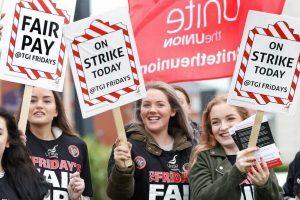 The success of other precarious workers taking action is a model for the branch, and inspiration for all young workers who are seeing the real power of the organised working class for the first time. Young people today have grown up in a period when the trade union movement has been in retreat. 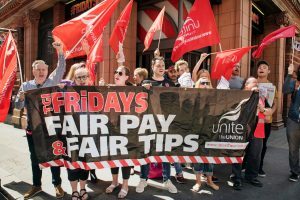 It has been the unions’ decline from militancy to conservatism that has caused young people to no longer consider them vehicles for change and why they have been struggling to understand their relevance in a world of global social upheaval. This has meant that trade union membership has fallen to its lowest since 1995. But material conditions are driving small groups of young workers to organise and fight back. 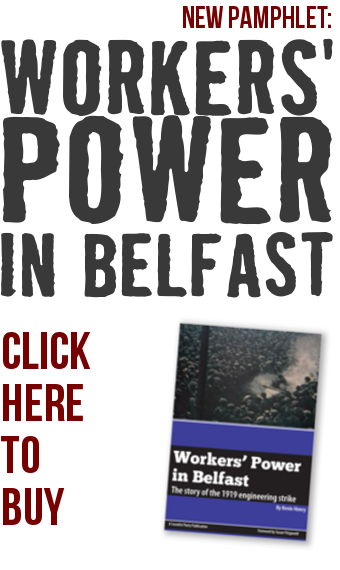 In a show of cross-community, working-class unity, leisure centre workers from the Shankill Road and Falls Road, trade unionists and people from across Belfast came together to protest the declining working conditions and plans which threaten forty-nine jobs that have arisen since the takeover of Belfast’s leisure centres by Greenwich Leisure Limited. Young workers fighting for their future. 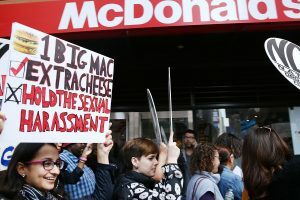 New generation standing up! Young and precarious workers across Britain and Ireland are getting organised. 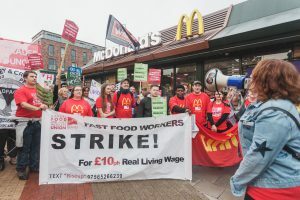 Small but successful campaigns – such as the McDonald’s strike, #Betterthanzero in Scotland and Unite the Union’s Fair Hospitality initiative – have begun to rebuild a fighting trade union consciousness among young people which had been lost by decades of inaction by the majority of union leaderships. 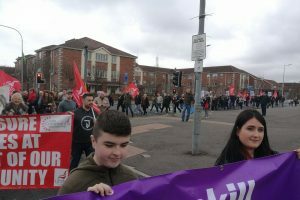 The ongoing threat of outsourcing of work at Bombardier and the current redundancies, linked to outsourcing, are a huge challenge to the workforce. 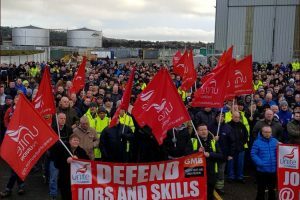 However, having led the battle to save jobs and skills, Bombardier workers have shown what they are capable of when united and mobilised and are now in a stronger position to deal with future threats, whether political or from the company.